Hey guys! It’s time for another round of Shop the Stash. 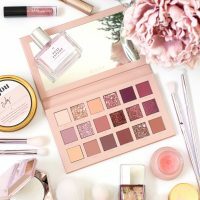 If you’re new to this series here on my blog, it’s all about taking stock of my current makeup collection and rediscovering old flames as an alternative to going out and hauling new products. I’m going to pull out everything I own of a particular category, show you guys a side-by-side comparison, and see if I’ve been neglecting any hidden gems. So far we’ve already sorted through my bronzer collection and my concealers, both of which ended up being incredibly helpful for me. I’ve been loving my Cargo Water Resistant Bronzer this summer, which had previously been buried in the back of a drawer somewhere, and I was able to say goodbye to a few tubes of concealer that were either old or mostly used up. 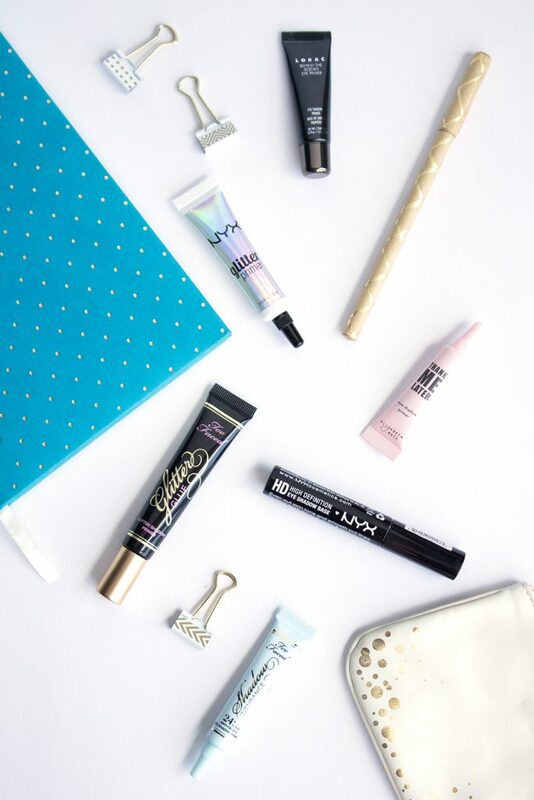 This time around I’ve gathered together all of my eye primers to see how they stack up against one another. Primer is a must-have for me if I’m going to create any kind of intensive eyeshadow look. However, I’ve definitely realized that not all formulas are created equal. Let’s see how these ones compare! Looking at everything side-by-side I feel happy to report that my current primer collection is actually not as ridiculous as it probably could be. Half are deluxe samples that I’ve either received in sub boxes or that came as a bonus freebie with a palette or larger makeup set, and two of the ones I’ve purchased are from the drugstore. 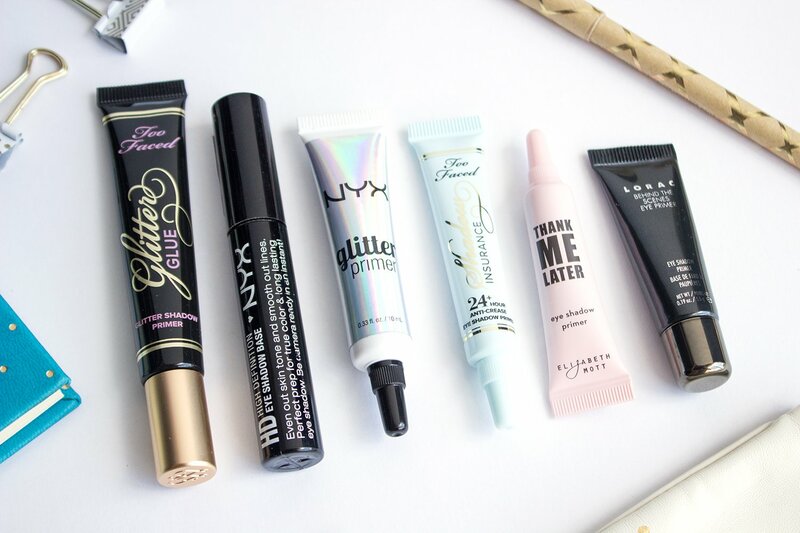 The only splurge out of these six was the Too Faced Glitter Glue (which you guys are probably getting sick of hearing me rave about). I’m also realizing how many primers I’ve tried and either used up or threw away. Two of note that I can think off are the Urban Decay Primer Potion and the NARS Smudge-Proof Eyeshadow Base. I was not a huge fan of that UD Primer, and since I only had a deluxe sample of it I eventually ended up throwing it away. The consistency was too light and almost greasy feeling on my lids, and I didn’t think it gave my shadows as much lasting power as some other primers. On the flip side, the NARS Smudge-Proof Eyeshadow Base is my Holy Grail eye primer of all eye primers. Throwing that tube away was somewhat painful, but it had gotten to that point where it was old and mostly used up and I just didn’t feel right about putting it near my eyes anymore. The only thing that’s stopped me from repurchasing is the fact that I’ve got 6 other tubes of eye primer to reach for, and I’d like to give them all a fair shot. 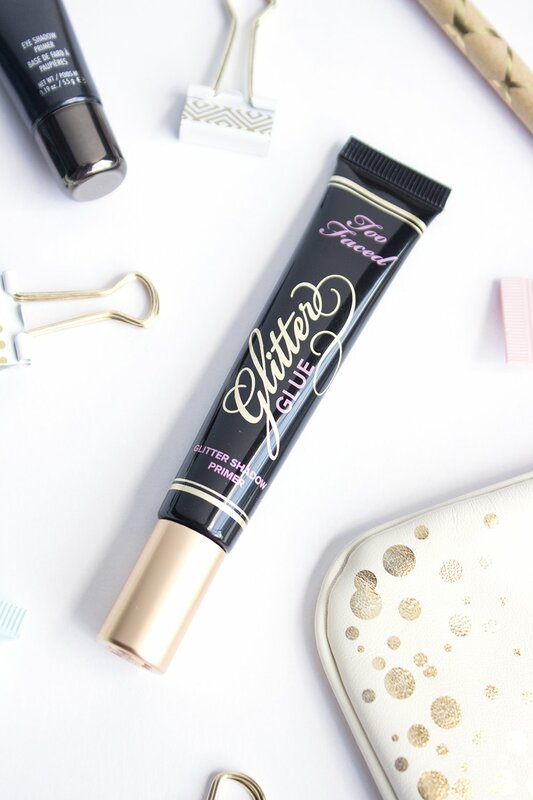 So let’s just get this one out of the way, cause you all already know I’m obsessed with the Too Faced Glitter Glue ($20). I wrote up a full review of this primer back in April, and have photographic evidence of its magical effects. 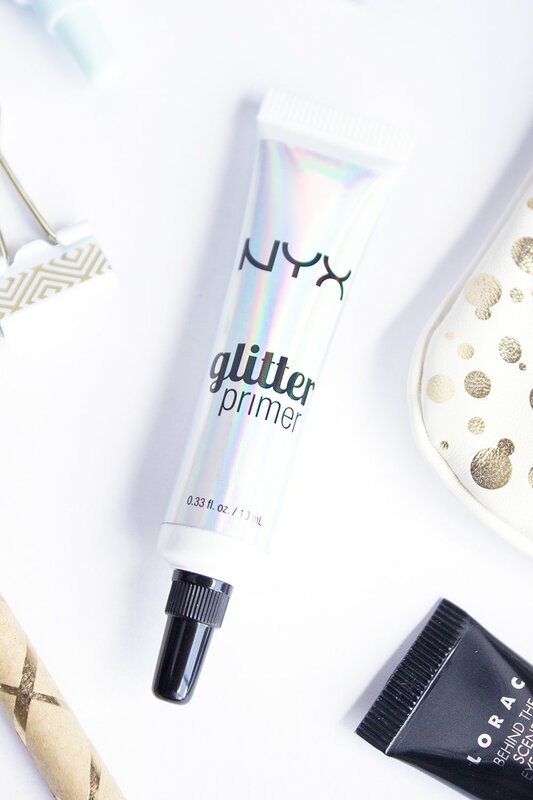 Unlike a traditional primer which creates a smooth base for you to blend eyeshadows on top of, this Glitter Glue creates a sticky base to adhere loose glitters and glitter shadows to the eye. You can pat it on top of your existing eyeshadow without disturbing it, and layer your glitter on top. 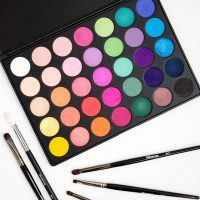 It’s totally upped my eyeshadow game, and I seriously wonder why it took my so long to discover. Basically, as long as I owned this and my beloved NARS primer, I’d probably be set for life. Fortunately, I also discovered a really awesome budget-friendly alternative to the TF Glitter Glue for those of you who don’t want to shell out $20 on a product you might only use once or twice a month. 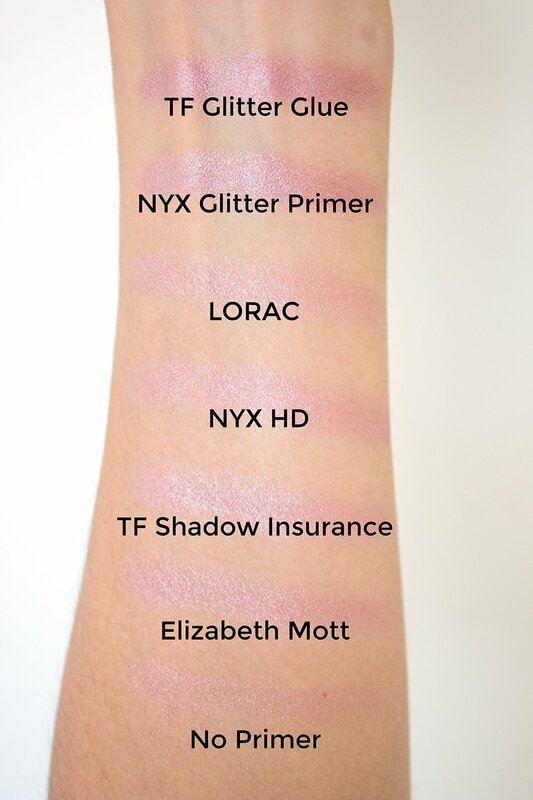 The NYX Glitter Primer ($5.99) has a very similar consistency and lasting power to Too Faced’s, but for less than half the price. 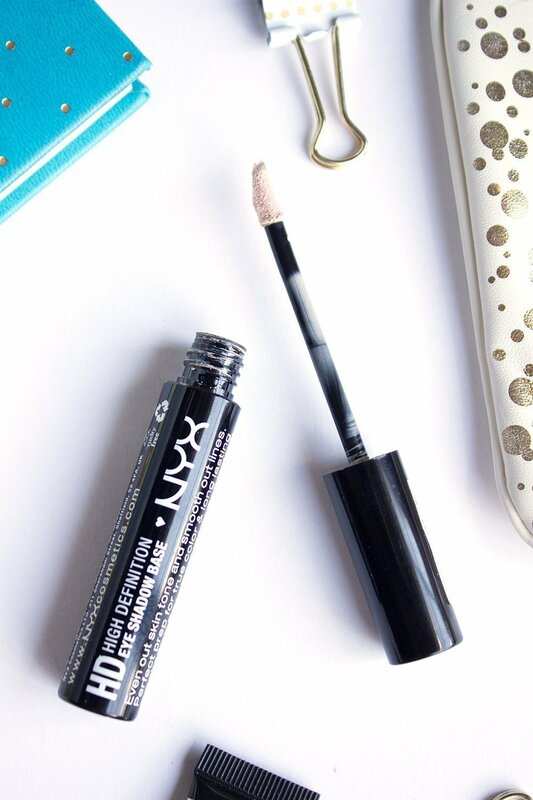 The NYX is perhaps a little thicker and more difficult to blend, but it’s certainly still workable. If you’d like to see some side-by-side swatches of how they both look with the same eyeshadow on top, I’ve included one in my most recent Save or Splurge post. Do I need two tubes of glitter primer in my collection? No, probably not. I’m glad that I got to try them both, but I think I’ll be passing this one along to a friend who will give it the love and attention it deserves. 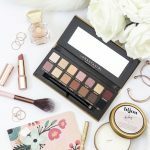 I was pretty jazzed to get my hands on the new LORAC Pro 3 Palette back in June. I’d heard so many amazing things about the entire LORAC Pro line, and couldn’t wait to give it a try. As a little extra bonus, it happened to come with this deluxe sample of the LORAC Behind the Scenes Eye Primer ($21). I haven’t used this primer a ton yet, especially since I haven’t owned it for a particularly long time, but so far I haven’t been overly impressed. The texture reminds me a lot of the UD Primer Potion I mentioned previously, in that it’s very thin and almost slippery in texture, and I don’t feel like it does a whole lot for my eyeshadows. So for now the verdict is still out, but I’m leaning towards the “meh” end of the spectrum. 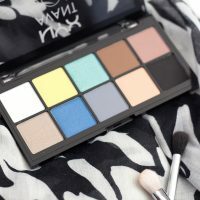 If you’ve been following my blog for a while now, you’ve probably seen the NYX HD Eyeshadow Base ($6.99) pop up on more than one occasion. This is a great dupe for the NARS Smudge-Proof Eyeshadow Base (you can see my side-by-side comparison here) and has been my go-to ever since my NARS one hit the trash bin. 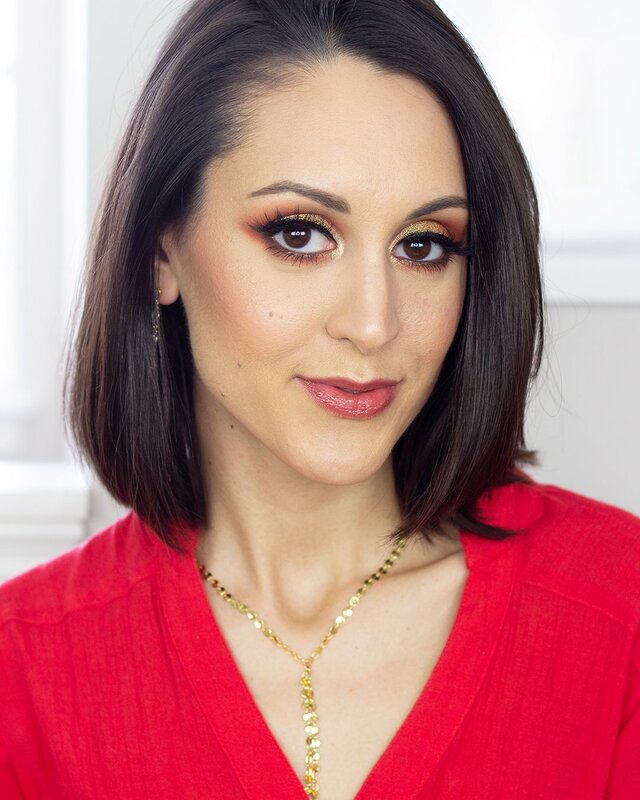 This primer has a really lightweight consistency that blends quickly into your eyes, and does wonders for intensifying the look of your shadows. The only thing that makes me kind of unhappy about both this product and its high end cousin is that they come in a tube with a doe foot applicator. I generally feel that most makeup in squeeze tubes is more hygienic, lasts longer, and is easier to use completely. Although with a $7 price tag I don’t feel quite as guilty about replacing this one every 6 months. Over the past year I’ve become entirely smitten with Too Faced. 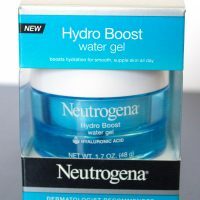 They have so many amazing products and I’ve rarely been disappointed in things I’ve tried. 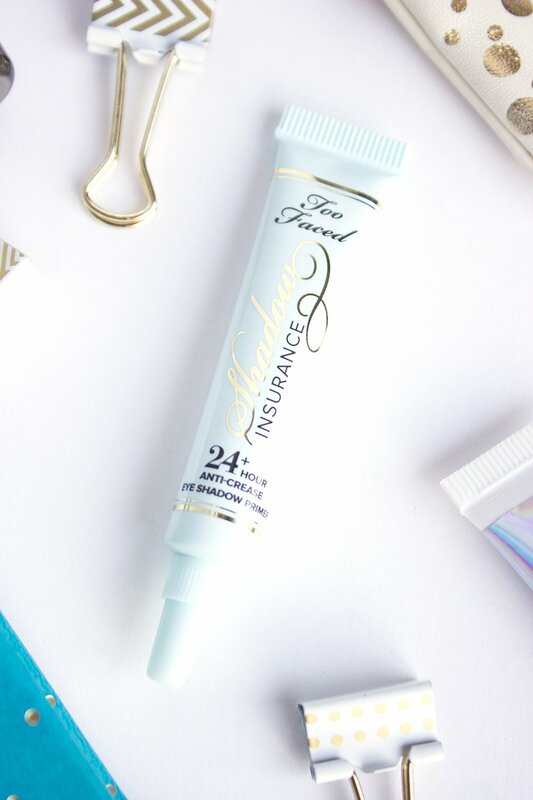 I was able to snag this deluxe sample of the Too Faced Shadow Insurance ($20) when I picked up this super cute sampler kit back in March and have been enjoying using it since. 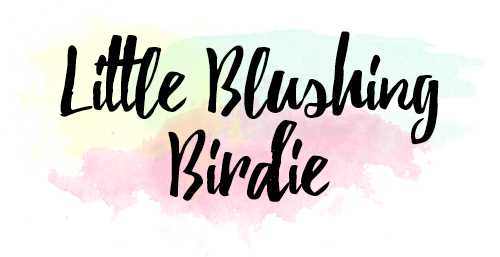 It’s fairly easy to work with, dries down quickly, and does help my eyeshadows to go on more smoothly and vibrantly. Would I purchase the full size? Maybe. To be honest I feel like this little sample tube has a ton of product, and considering how little you need for each application I think it’s going to last me a while! And last is a product that I didn’t even realize I had until I started working on this series! 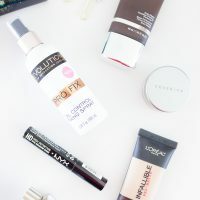 I’ve tried a number of different beauty subscriptions over the years, and as a result I sometimes get overloaded with deluxe samples and just don’t have the time to properly test everything out. I’m pretty sure I had received this Elizabeth Mott Thank Me Later Eyeshadow Primer ($20) in an Ipsy bag way back when, and had put it aside in a to-try pile where it sat unloved for many, many months. To be honest, I haven’t been all that impressed with the products from Elizabeth Mott I’ve tried in the past, which may have been why I was being so flippant and quick to toss this aside. However, now that I’ve dug it out of hiding and given it a whirl, I will say that it’s actually a pretty decent product. 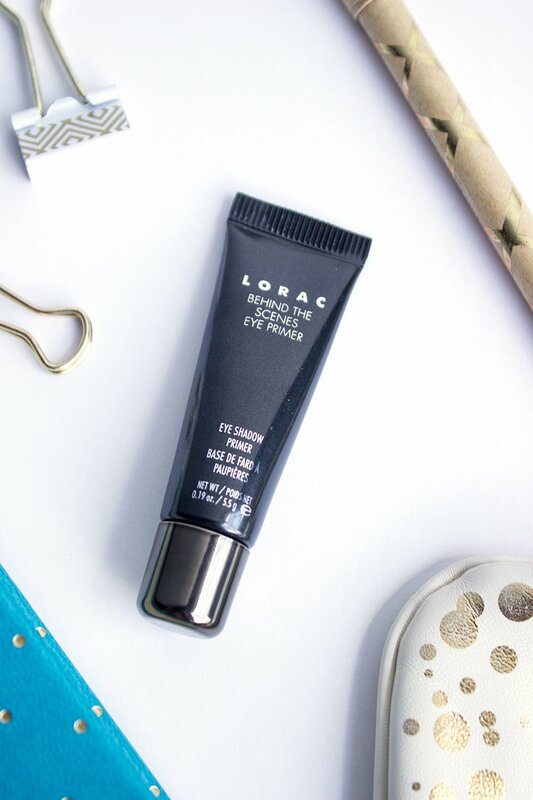 The texture of this primer is probably the thickest of all the traditional primers I’ve mentioned here, but is consequently really budge proof once it sets. Looking at the side-by-side swatches with the rest of the primers mentioned here, I don’t think this one is the best in terms of color payoff, but it isn’t terrible. Speaking of which, let’s take a look at all of these primers side by side. So, a couple of things to note. I generally don’t have an issue with redness of veins on my eyelids, so you’ll notice that all of these primers are generally translucent and don’t offer anything by the way of coverage. 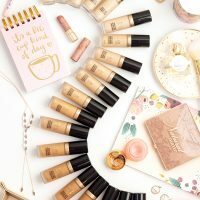 I personally like translucent primers, since I think they’re friendly for people of all skin tones, but if coverage is something that you’re looking for, these primers are not going to deliver. Next, the shadow I used for this comparison is Anastasia Beverly Hills Macaroon, which is a pastel lavender shade with a Titanium finish. I decided to go with something shimmery, as I think a matte shadow wouldn’t perform well with the glitter primers. As you can see from the swatch above, this eyeshadow is basically non existent when swatched without any primer underneath it. Also, I applied the shadow to each of these swatches using a normal flat eyeshadow brush instead of using my fingers, as I feel like most of us typically apply our eyeshadow with brushes and I wanted to get the truest finishes possible. Side-by-side the glitter primers obviously are light years ahead in terms of pigmentation, which is kind of to be expected with this type of shadow. However, looking at all of the other primers in comparison, I feel like the NYX and Too Faced primers provide the most even and pigmented finish. The Elizabeth Mott primer is in the middle for me, and the LORAC primer is sort of lackluster. Perhaps I’ll have to try these same primers again with a matte shadow and see if the difference is equally noticeable. I hope you guys are enjoying this series and find it helpful! 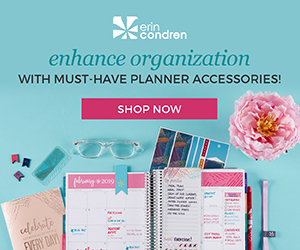 I feel like I’m learning a lot about the products I’ve had sitting around all this time, and have a way better understanding of what I like, what works for me, and what doesn’t. I’d also love to know what you’d like me to “shop” next. Foundations, brow products, powders, liquid lipsticks…there’s a lot to pick from! Post a comment down below and let me know what you’re curious about.